Start by linking your iOS device or Apple TV to the playmoTV gateway via our step-by-step guides. If you don't have an account just click here to sign up for a free trial. 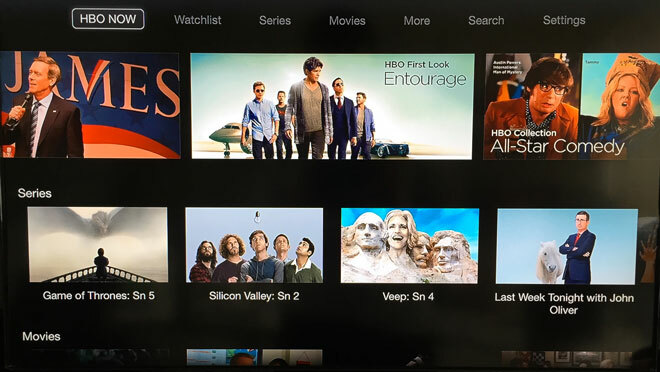 With HBO NOW being US and Apple exclusive, you can only pay for the service via iTunes. Therefore, you need to create a US Apple account. Naturally, we have instructions on how you create such an account.It's important that you select None as a payment option, because adding credit cards or PayPal accounts not linked to US credit cards or bank accounts will be declined. After you have created a US Apple account without a credit card, you need to add some balance to it. For that we recommend BuyFromPowerSeller. They offer iTunes gift cards at the lowest premium we've seen. On an Apple TV you have to change the iTunes Store Location to the United States, done by going to Settings > iTunes Store and pick United States.If you have an iPhone or iPad, login to your US App Store account, and download HBO NOW from the App Store.